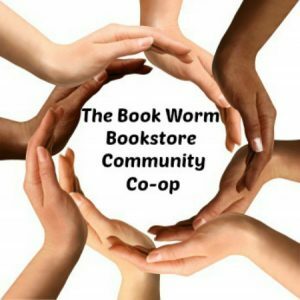 The Book Worm – We're your friendly downtown Powder Springs used bookstore! We're your friendly downtown Powder Springs used bookstore! The Book Worm in Powder Springs, Georgia opened its doors in October of 2005 in the back room of our shop with a few hundred gently used books in just a few assorted genres; now, we are home to over 30,000 titles in a wide variety of genres with hundreds of accessories, all at incredibly low prices! Our current store selection is partially online via the “giant river monster” and eBay, but we have many in-store titles for shop patrons to browse. You are welcome to call ahead to have us hold requests for you until you can stop in, within a day or two. We get in up to 1,000 books per week from our book scouts and customers. If you live far away, of course we can ship your selection as well! If you’re a member of our community, we encourage you to browse our topics for information on what’s going on downtown, events on the that are happening and in the store as well as a chance to get to know a little bit about us! Sign up for our email newsletter and keep yourself in the know! “Like” us on Facebook for always up-to-date info and just general craziness! Find us at The Bookworm Powder Springs. Questions on a title? Please, call the store or send us an email; we’re happy to help in any way we can and if we don’t have it on hand, we almost always can find it for you with our other bookstore owners locally and across the USA, we’ve got connections! Set in the heart of historic, downtown Powder Springs, we strive to bring the best in literature, from international best sellers to our own local literary giants, to a growing community that’s as diverse as the books on our shelves! Front & center needs to be our quest that we just are starting! We always need volunteers so if you are looking for a satisfying way to give back to a small business that serves the community, we got you covered! Stop in the store for more details! 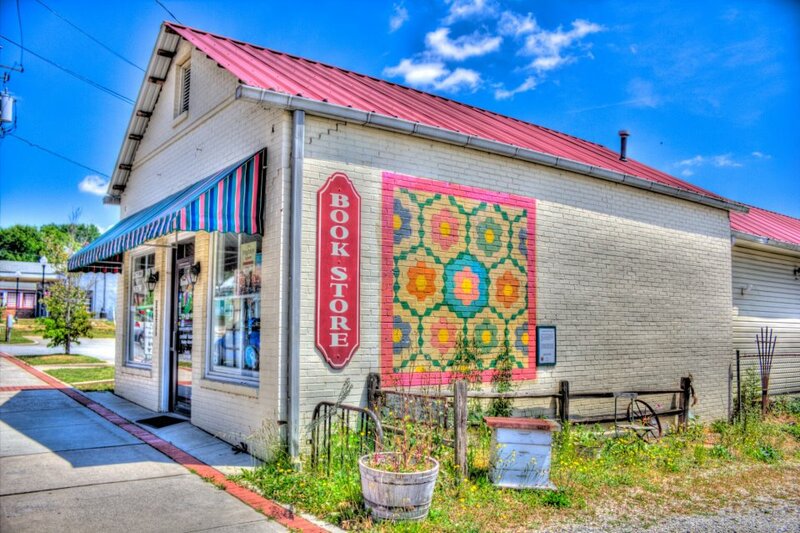 At the Book Worm, we celebrate small businesses and shop local programs. We encourage you to please ask us for a recommendation to any small business or service and we hope to find you someone that can fit your need while you support your locals. Our community is expanding daily; unique and diverse, we strive to meet the needs of each of our customers with a wide variety of genres and accessories, online shopping and special ordering services. 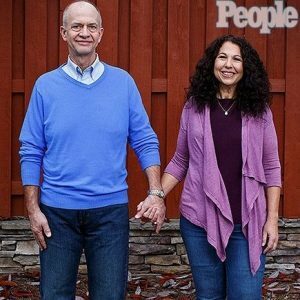 Never forgetting the importance of face-to-face conversation and the personal relationships we have built with our customers over the years, we have branched out into social media outlets. We love to shout out on Facebook daily, so please be sure to become a fan so we can spoil you even more with specials, events and local happenings! In the interest of furthering education, The Book Worm has participated in several book drives for local schools and literacy programs in the years since our opening as well as offering a 10% discount on all books purchased by teachers for their classroom. Instilling a love of reading in a child is one of the best gifts we can give; it lights the way for a bright future and we’re thrilled help them along that path in any way we can. About the Smelsers and their success in finally making some healthy changes. We have had numerous changes over the years with hosting coffee shops, promoting author events and even have had a change of ownership. Currently, Susan, the original owner is back on board and is looking forward to seeing new faces as well as lots of regular customers. She is also now looking a bit different with the loss of 130 lbs so if you see someone who looks a little familiar, it’s most likely be her, just ask! Here is a quick before and after. While the bookstore is so important to her, being a health coach and helping people get healthy is also another hat she wears. 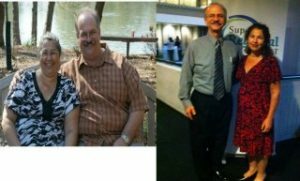 Hubby Steven also shed 150 lbs so they are happy to share their secrets to success with you, but only if you ask! If you haven’t already found our coaching page, please go to FB/shrinkingsmelsers and “like” us as we will be posting new ideas, tips, inspirational pictures and recipes. New things in the works for us and our coaching business so keep an ear open and an eye out, if you want to keep up with our progress or join in on our healthy lifestyle. Get your first month of membership for only $0.99. Choose from 100,000+ audiobooks, including New York Times bestsellers and hand-curated selections from expert booksellers across our partner stores. Copyright © 2019 The Book Worm. All Rights Reserved.